Two slices of Dark German bread sit on a plate in our kitchen. For much of human history, bread was regarded as, and called, “the staff of life.” This is because grains used to make bread – wheat, barley, rye, and many more – have been easy to grow, easy to store, and easy to use since mankind matured from hunter-gatherers to agrarians 12,000 years ago. For most of the period from then until now, grains remained relatively unaltered. They grew in their natural forms, and were then made into foods without changing their nature all that much. Then came the industrial revolution, and the fossil-fueled machinery that was able to change nearly everything with its might, including the nature of food. Most of the breads you and I see for sale now barely qualify as bread, since much of the grain has been removed or destroyed by processing, processing done to create an easier-to-eat, cheaper-to-make product that almost resembles, both nutritionally and culinarily, candy. There’s the rub, really. When people say bread makes them fat, not only are they not really referring to bread, but they are also referring to eating far more of it than is nutritionally recommended or necessary. The reason, for example, that bread didn’t make people fat during, say, the Great Depression, is that it was made from very unprocessed whole grains, and it wasn’t as excessively plentiful and cheap as “bread” is today. The love of white bread is a mystery to me. Even as a child, Wonder Bread tasted like grade school paste in my mouth. And to this day, a whole-grain pizza crust completely transforms pizza into… well, into real food. 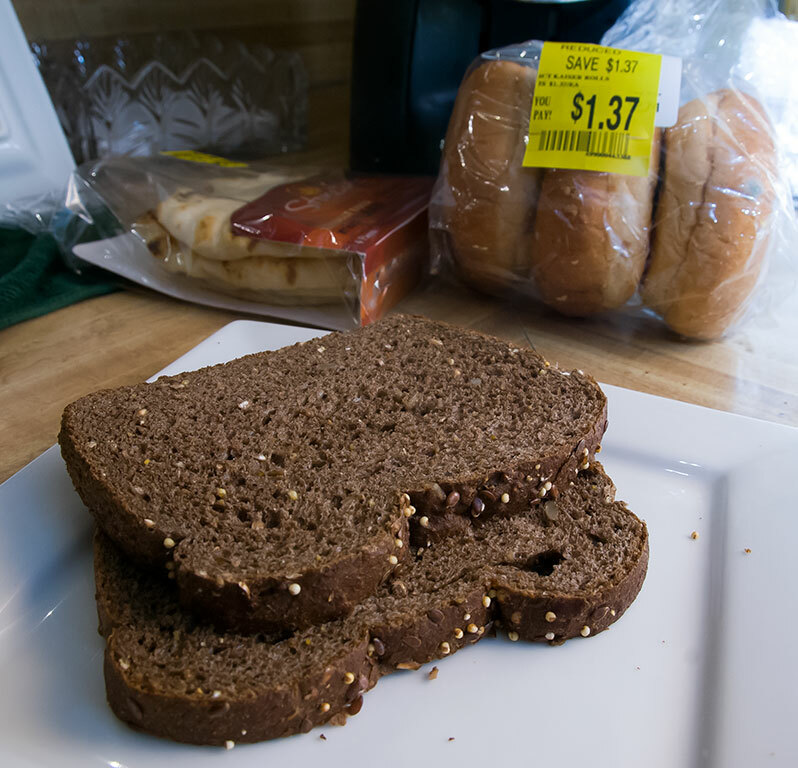 With that and my lifelong vegetarian diet in mind, I was delighted to see that our local Wal Mart has begin stocking, at least for now, Pepperidge Farms 100% Natural German Dark Wheat Bread. To some people, particularly millennials who might not have ever tasted a natural food, this product might seem like a flavorless chewfest, but to me, it tastes like nutrition should taste: rich, dark, complex, subtle. I knew I would like it when I bought it, but getting it home and eating it revealed this even more so. This is the best bread I have ever eaten. Toasted and lightly spread with margarine, 100% Natural German Dark Wheat Bread is the best bread I’ve ever tried. We eat Pepperidge Farms 15-grain. It’s crack yo. Also, please stop eating margarine. 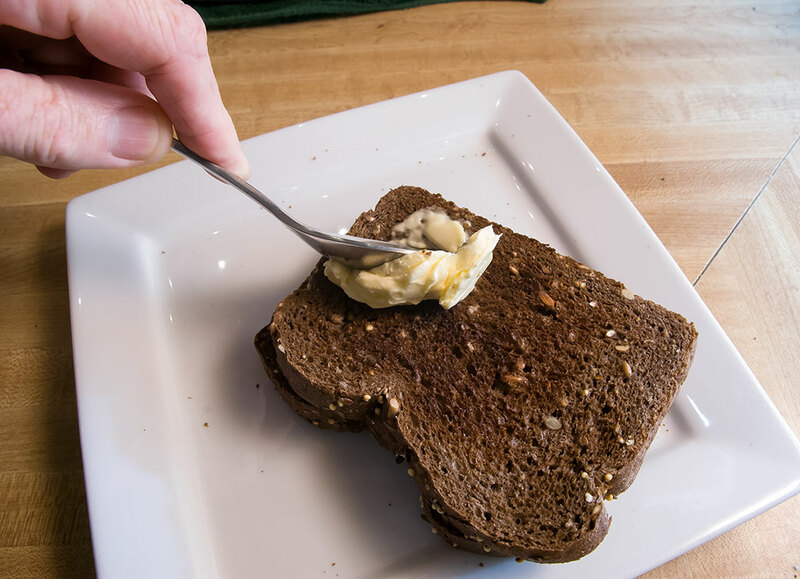 If you can’t eat butter, try avocado or a nut butter.